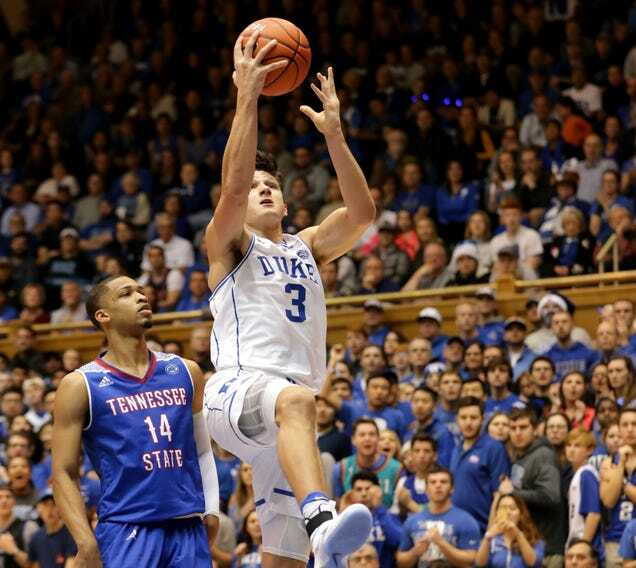 In the photo above, Tennesse State’s Darreon Reddick is quite literally watching Duke’s Grayson Allen go by. He should’ve observed the unwritten-but-well-known Duke Buffer Zone of at least five feet; he got whistled for the foul on Allen. Duke overcame an early deficit to win 65-55.